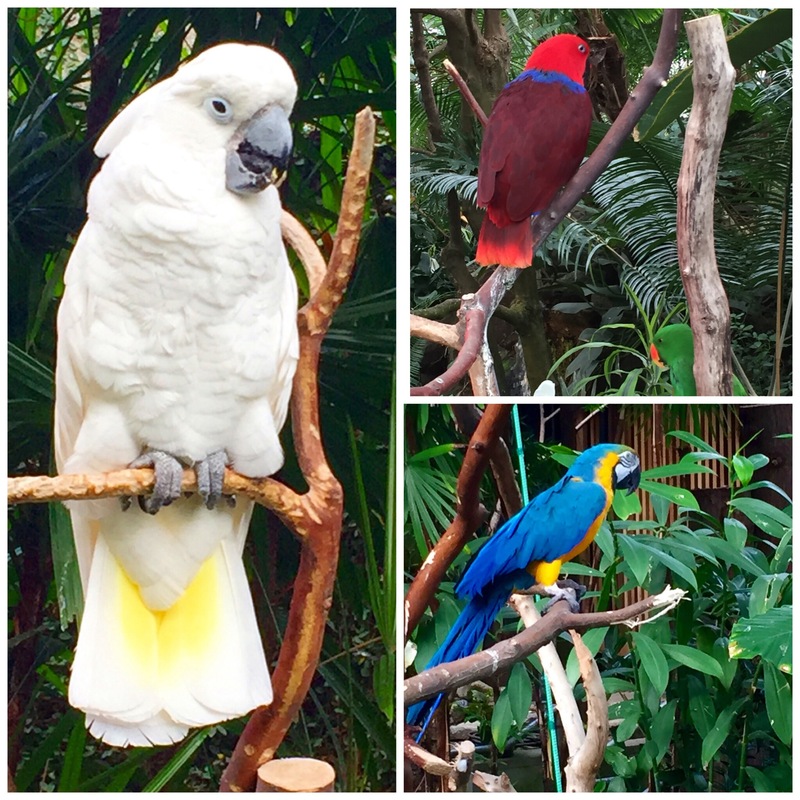 We just joined some good friends for the first day of my kids’ spring break at the Bloedel Conservatory in Queen Elizabeth Park. 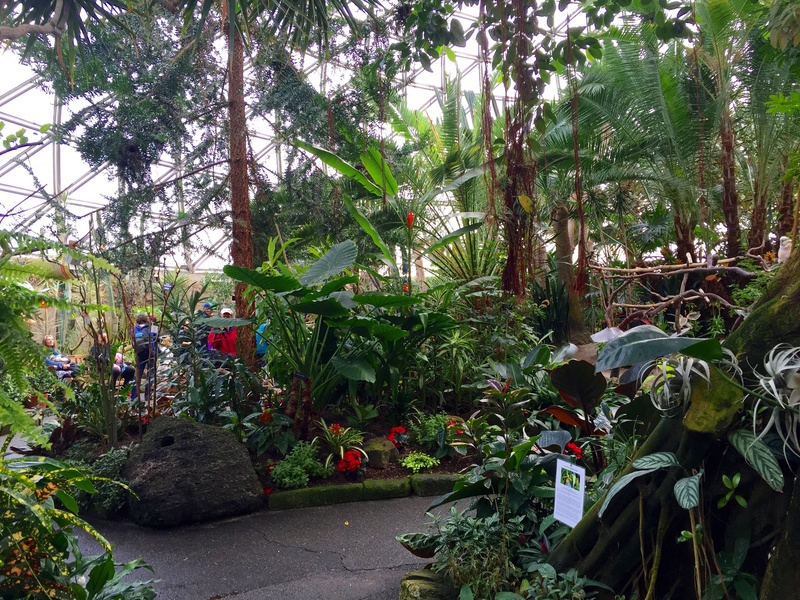 It was a typical Pacific Northwest grey, drizzly day outside, but we walked into a lush, tropical rainforest-like oasis inside! 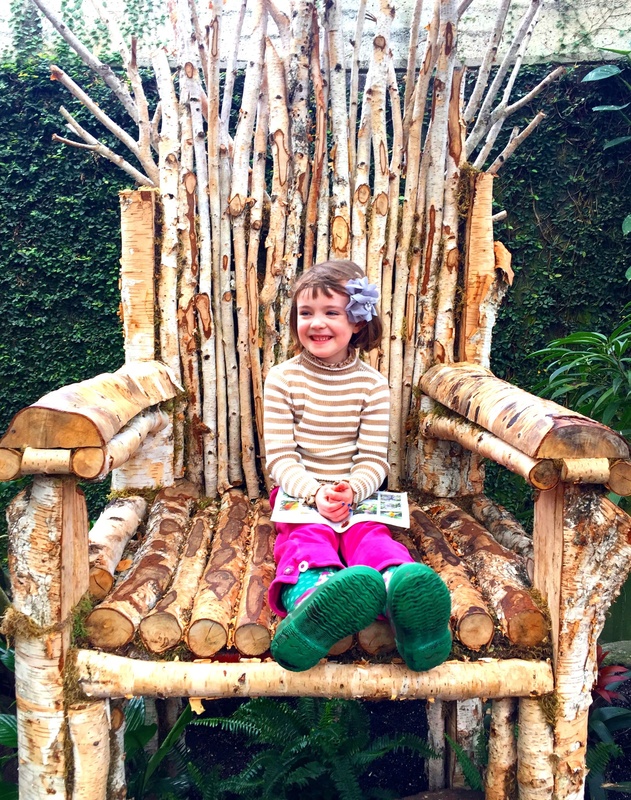 The Bloedel Conservatory is offering free entry for kids until March 24 for spring break. Adults pay $6.95 and up to 2 kids per adult are free, yahoo! 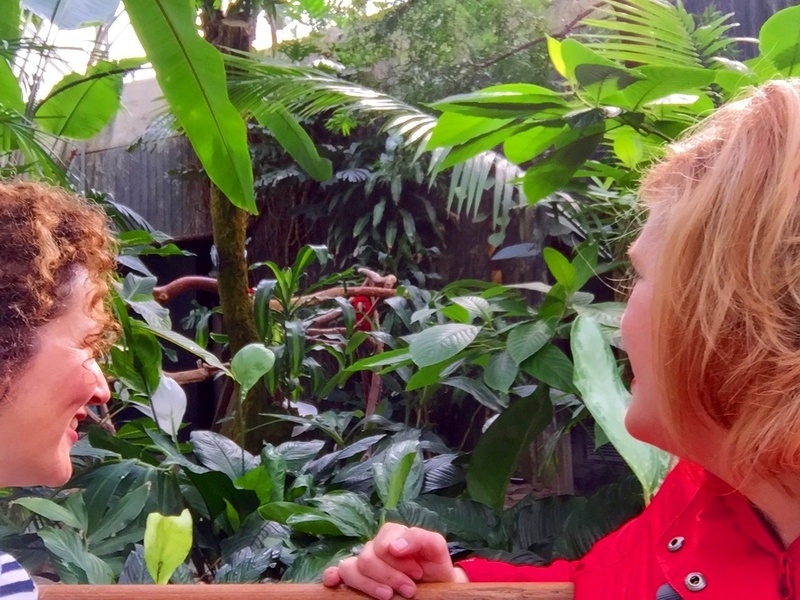 One of the best parts about going to the hilltop location of the Bloedel Conservatory is walking through the gardens of Queen Elizabeth Park following a meandering paved path through the expansive outdoor gardens to reach it. The kids ran ahead for a long while within our sight, and stopped to rest and see the fantastic outlook once we reached the top. 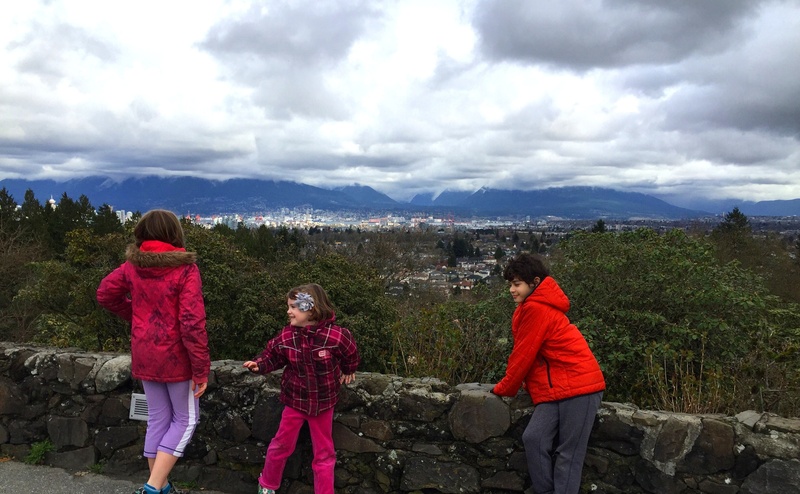 Queen Elizabeth Park is home to one of the city’s biggest hills and best viewpoint to see Vancouver’s downtown skyline, the north shore mountains, the valley to the east and ocean to the west. Visibility wasn’t stellar since it was a cloudy day, but still a breathtaking view of Vancouver. Once inside, we relaxed in the warm, tropical air under the geodesic glass roof with palm fronds, treetops and vines frolicking above us. We heard the chirping of birds and insects and critters all around us. Again, the conservatory is a really nice place to let the kids walk with us because it’s a paved, windy, big loop that we could let them get ahead and still easily find them in the confined grounds. Babies and tots in strollers or carriers would love seeing all the wildlife at eye level, too! 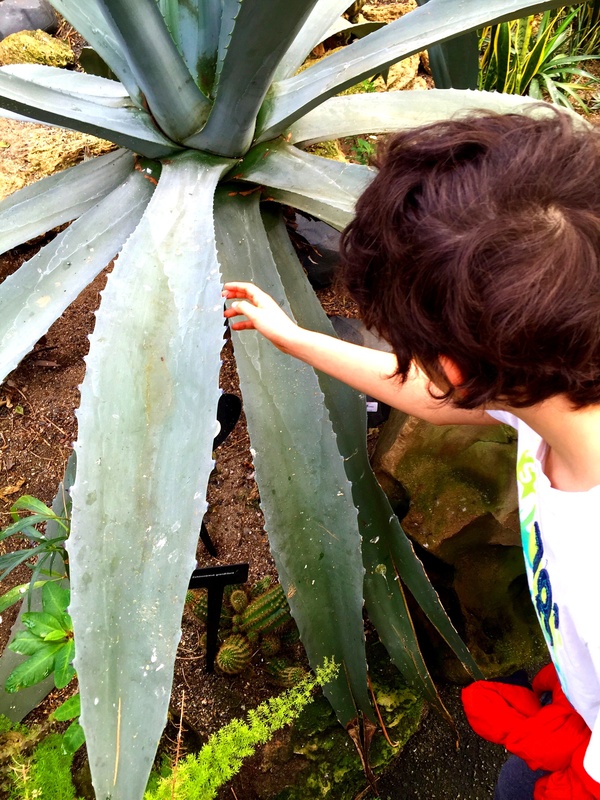 My little guy loved that he could (gently) touch and feel the foliage all around the conservatory. 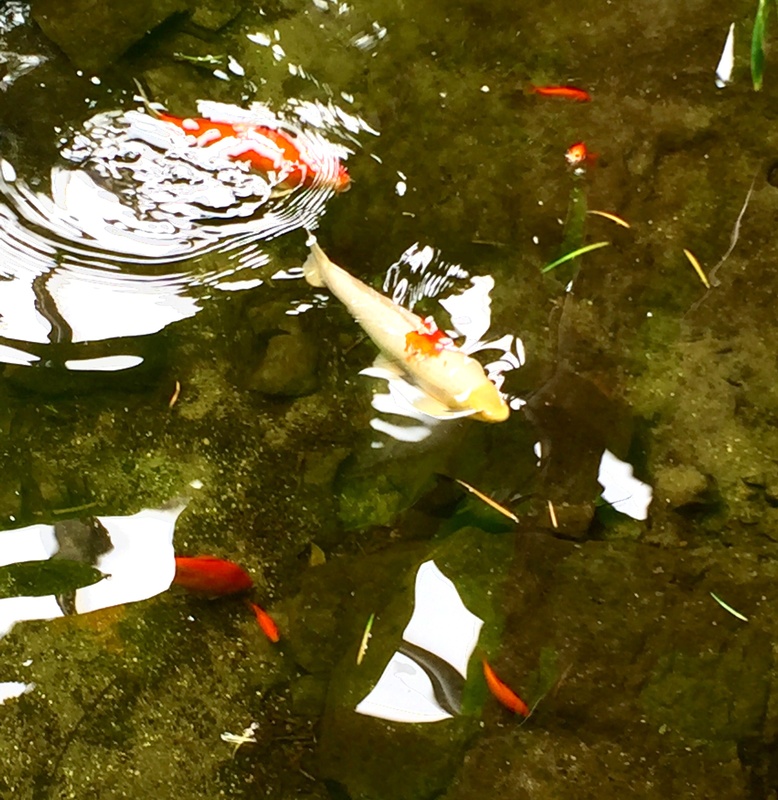 We saw lots of tiny, multi-coloured birds flitting around us as we strolled around the conservatory, and came upon a koi pond, chatty parrots, a throne made of branches, a feeding area, and lots of habitats full of tropical and desert plant life. May I present, Princess Quinn! 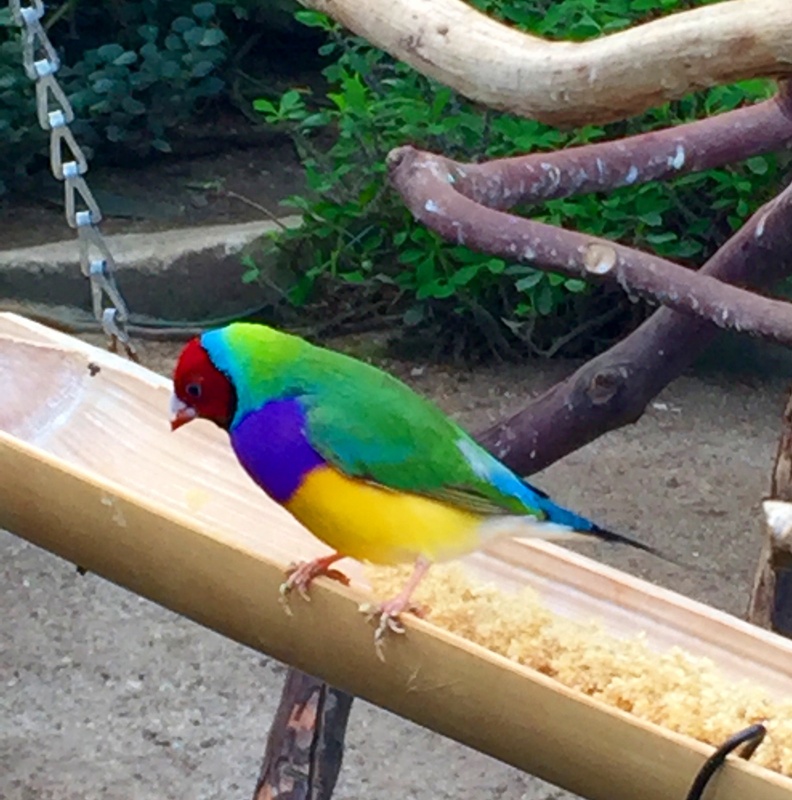 This rainbow-coloured bird was so extraordinary! 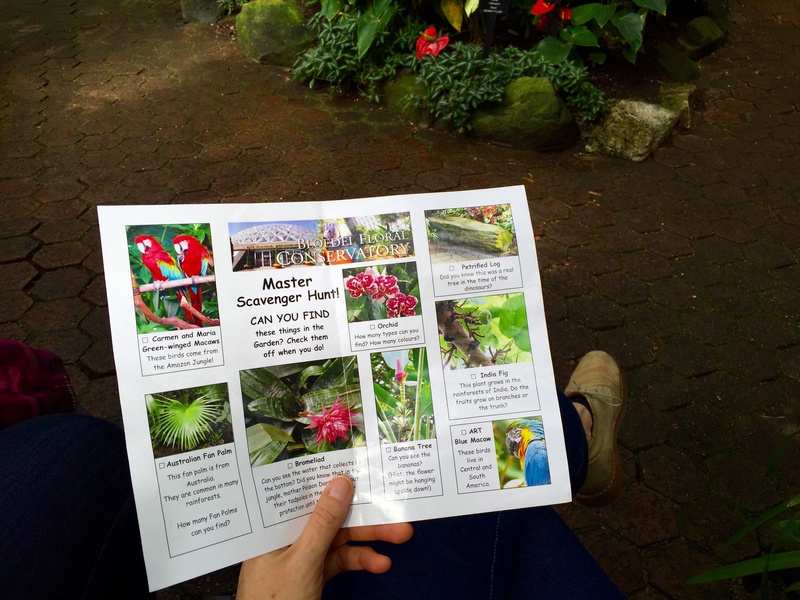 After we got our bearings, we let the kids roam around together finding items on the scavenger hunt provided at the conservatory. I love how these posts make signing so visual. 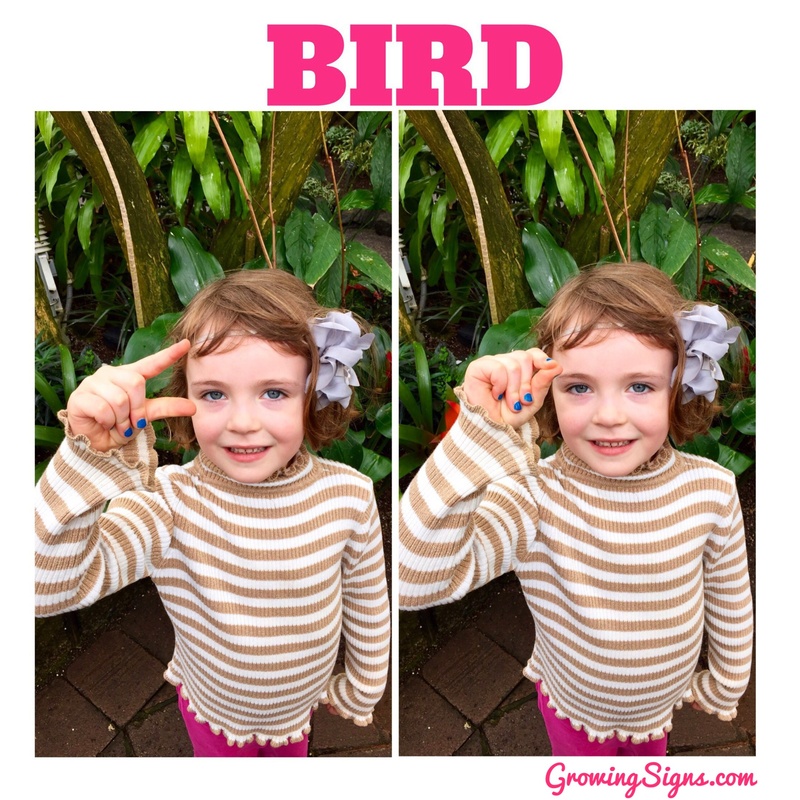 When you link it to something familiar like a walk through a nature conservatory you remember the signs more visually. Thank you!